Hey everyone meet Kimi!! ADOPTED!!! Kimi is a 1-2 year old Terrier mix. She loves to play fetch and would love nothing more than to sit in your lap all day. She will follow you everywhere you go and be your best friend. Kimi loves older kids but isn’t fond of other animals so she needs a home where she is the only pet with no small children. She is smart and learns quickly. She does fine in a crate and will go in by herself if you throw a treat in first. She knows sit & will happily comply for a treat or chewy. She is spayed and up to date on vaccines Rabies and she is microchipped. ADOPTED**Lucy & Jude -- Lucy & Jude are 3 month old Chihuahua's. Lucy loves cuddles and just discovering the world. Jude is a very playful, fearless little boy. He loves to play! Both are working on their house training. Charlie ​- (Adopted! ) Charlie is very friendly and just wants love. He is not super active. He loves to go on walks, and to snuggle. He is great with all ages of kids, and dogs. 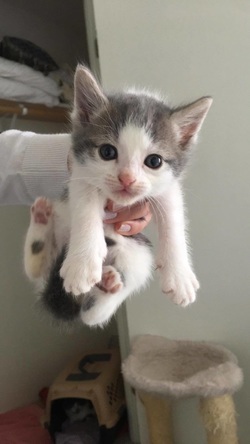 He does not like to be picked up. He will go stiff as a board until he gets to know you. ​Bella - (Adopted!) Bella is a 2-3 year old Fox Terrier. She was in our rescue previously and adopted however they ended up returning her because young children moved in to their home and Bella had a bad habit of jumping up on them and knocking them over. Upon re-entering our rescue Bella was accepted into the Two Rivers Correction Institute Rehabilitation Canines and Offenders Program where she is receiving some wonderful training! Lucy (Adopted!) is a 4 year old female terrier mix. She loves to be in your lap and sleep right next to you. She is crate trained and house broke with a doggie door. She does okay with cats, very gentle with kittens but does think its a game when they run away from her. She does well with other dogs but thinks she is alpha so may not do well with other alphas. She absolutely loves kids. She is like a pogo stick when you first get home because she is so happy to see you! She really is a very sweet girl that would like a family of her own. Ruger (Adopted! )- 10 month old Pit bull. He is on the small size for a pit bull at only about 45lbs. Very friendly loving boy. He absolutely loves to cuddle and be right next to you or in your lap. He gets along with other dogs but can be too much for little dogs sometimes as he just wants to play. Has not been around cats or children but is a very sweet boy. Max (Adopted!) - Max is a 1 year old Chihuahua. 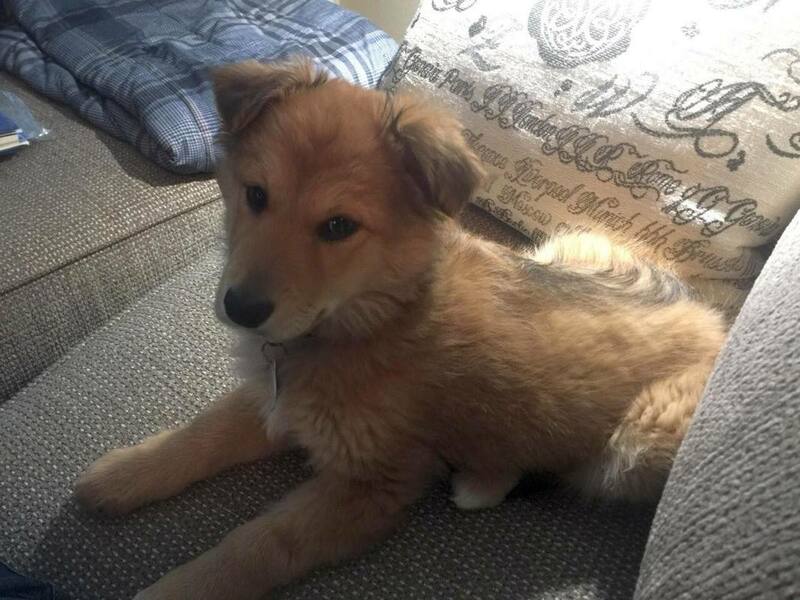 He survived parvo and is now looking for a forever family that will take care of him the rest of his life. He is good with other small dogs but does not like bigger dogs. He is good with cats as long as they are friendly with him. Due to his size, he would do best in a home with no small children. Jack (adopted! )- 14 week old male kitten. Jack is a boy. 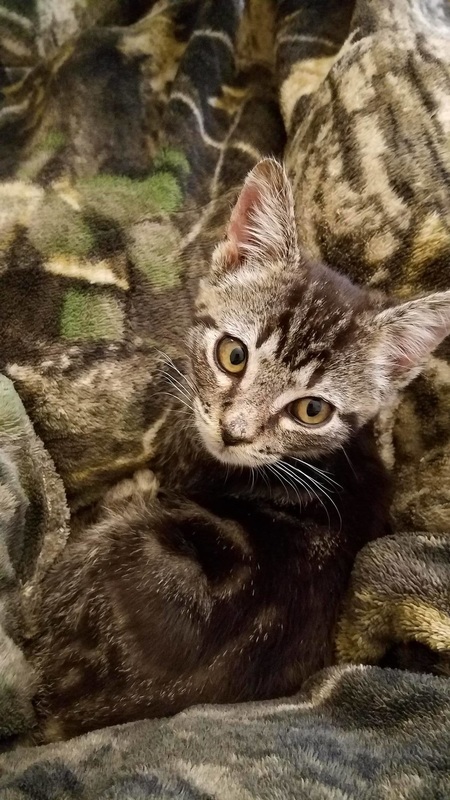 Jack was found outside in the freezing weather with his sister. After being treated for some health issues he is now healthy and very playful. He would like another kitty to keep him company and play with. Midnight (Adopted!) (black kitten) - Found outside with his seven other brothers and sisters. He was cold and hungry. He was taken into foster care and brought back to health and is doing great! His foster mom says he is very laid back. He is good with kids, cats and small dogs. He hasn't spent much time around big dogs except through the protection of a window. ​Sweetie Pie (Adopted!) 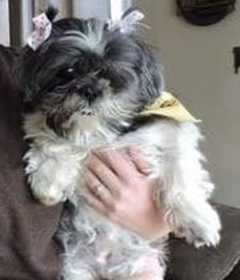 is a senior Shih Tzu. She only has one eye and is mostly blind and deaf. She needs a very special person that will spend their days with her. She likes to be with you as much as possible. She learns her way around her home well. She is not a fan of babies or kids because they can startle her and pull her hair. She is stubborn and doesn't like to be disciplined. But who does right? She is just an old girl that needs a quiet home to spend the rest of her life. Jack (Adopted!) 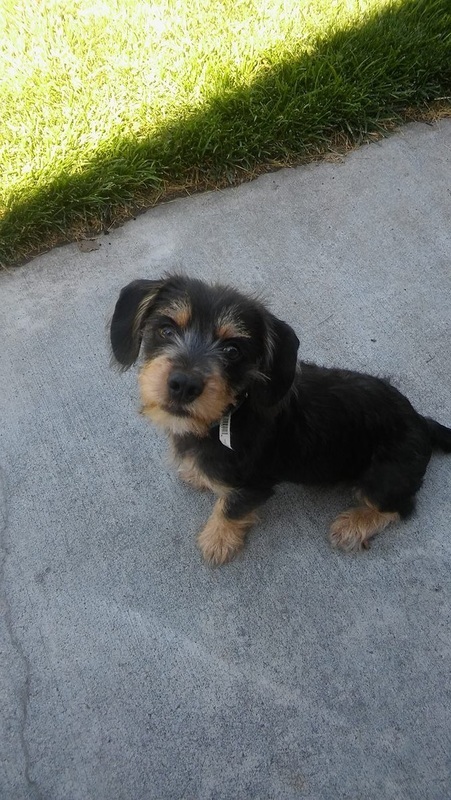 - 4 month old male terrier mix. At such a young age Jack has been through a lot. At 3 months old he was posted on Facebook looking for a new home. He had only been in his new home for 1 day when his doggie housemate decided he wasn't a fan of sharing his dog bowl. In a split second the dog bit Jack on the head and injured his eye. His new owners were not able to afford the surgery he needed to remove the eye so Fuzzball was able to step in and get him the care he needed. You would never know this spunky little man only has one eye. He is very sweet and very playful! Molly & Abby (Adopted) - Brought into rescue at 8 weeks old these two pit bull sisters were timid and hadn't had much socialization. After going into foster care they blossomed wonderfully! Their foster mom put a lot of work into their training and it was obvious why she fell in love with both of them. It was an easy choice for her to make and officially and adopt them! Frost (Adopted) - is a 3 1/2 month old kitten that was found outside in the freezing weather with her brother when they were only 6-8 weeks old. She had ringworm and a bad upper respiratory infection. Once treated her and her brother are doing amazing! Henry (Adopted) - is a 2 year old poodle. He was taken from a bad situation. He lived in a cage and didn't get much exposure to other aspects of life. He is a sweet boy that wants someone to be his person. Because he did not have any manners coming from his previous situation he was accepted into the Two Rivers Correction Institute Rehabilitating Offenders and Canines Program. His handler is teaching him not to potty in the house, men are not evil, and manners are a good thing. Once he has completed his training he will be available for adoption. If interested you can submit an adoption application pending his training completion. Raksha & Babies Mowgli, Bagheera, & Baloo (Adopted) - Mommy and babies were living outside and mommy kept having litter after litter. As the weather started to get cold Fuzzball was contacted to help this family out! Now in a foster home, Raksha (mommy) has warmed up to people wonderfully and greets her foster mommy every time she walks through the door. Babies are wonderful little kitties that would like a family of their own to grow up with! Babies will be available for adoption after 11/7/16. Majik (Adopted) - and his mommy were abandoned at a local church. Majik was taken home by a family that wanted to help him out but unfortunately circumstance changed and they weren't able to keep him. He is an adorable squishy faced little man that loves to snuggle. He is just a baby and will be available for adoption after 11/7/16. 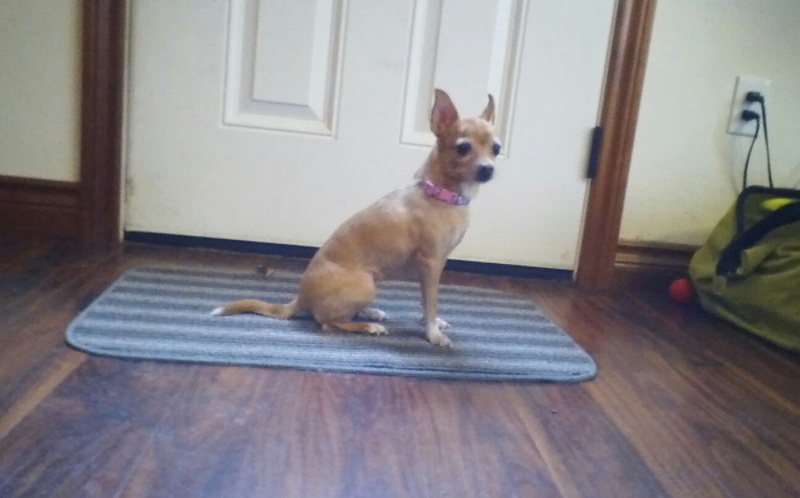 Yodi (Adopted) - is a 6 year old spayed female Chihuahua. She is a sweetheart and very well behaved! She does bark at strangers but minds very well. She is an easy keeper that loves to cuddle. Ace (Adopted) - is about 4 months old. He was found alone on the side of the road. He is a very entertaining puppy. He loves playing with other dogs. He loves crashing on the couch or next to you in bed. He is still working on his potty training and will need someone willing to commit to his training. He does crate during the day but is not a fan and again still working on the potty training. But this is a wonderful and smart little guy that can grow with your family! Oliver (Adopted) - is a very small little boy who was found in the street. He is a lover! Whenever his foster family is hanging out on the couch he is right next to them wanting to cuddle! When he was first found he had a bad case of upper respiratory infection but has improved immensely in his foster home and should be available for adoption soon! If interested in meeting Oliver just let us know! 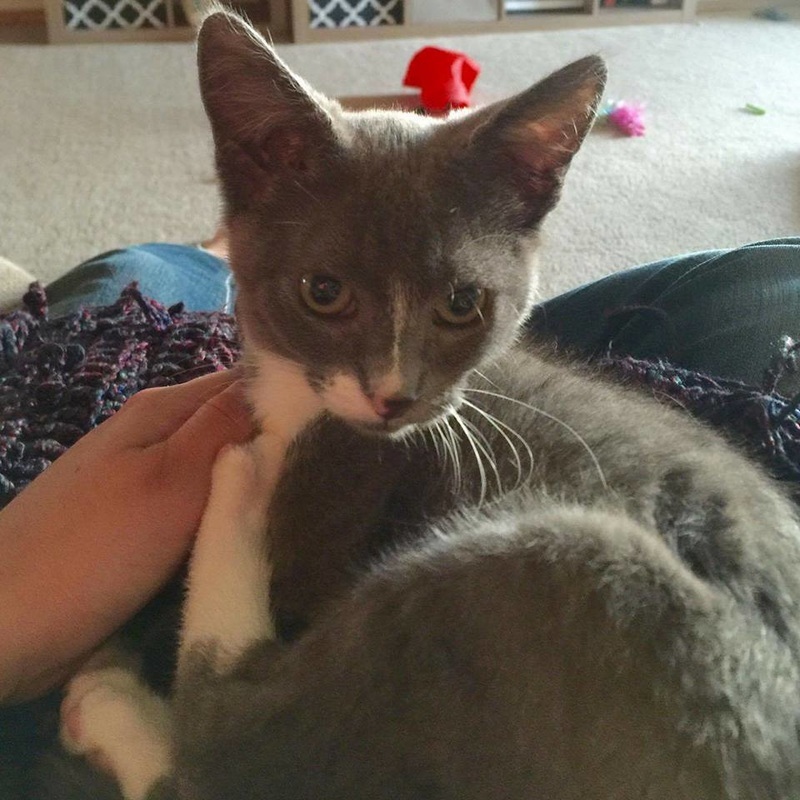 Bella (Adopted) - She was found in the streets of Hermiston. She was believed to be hit by a car and brought to us for medical care. She is healing nicely but nobody has come forward claiming her. Very hard to believe because she is a very sweet little girl who just wants to be in your lap. She is very high energy and is well mannered on a leash and gets along with other dogs with the proper introduction. She is estimated to be 2-3 years old. Pip (Adopted) - Pip & her brother were found in a shed and were very, very sick. Her brother was able to be transferred to a specialty cat rescue group in Portland. Once her brother left Pip became best friends with her foster sister who just happens to be a dog. Pip's foster parents say they think Pip may think she is a dog now too. Because these two have a new found friendship and special bond Pip's foster parents decided they are inseparable and welcomed Pip to the family forever! Orange and Blue (Adopted) - were abandoned with the rest of their siblings and mom and dad in one of our volunteer's back yard. ​ORANGE is a happy playful puppy although not overly hyper! He loves to sleep right next to you in bed! He does great with other dogs and kids. He is still working on his potty training and is not a fan of being in a crate. Blue loves playing fetch and is slowly learning he is supposed to bring it back after you throw it! He does well with kids! He has shown some possessive behavior with his food, toys, and bed but we feel with some training this is completely fixable! He does have some separation anxiety issues but again this could benefit from some training! Spock (Adopted) - I think it might be obvious where Spock got his name...from his handsome giant ears! 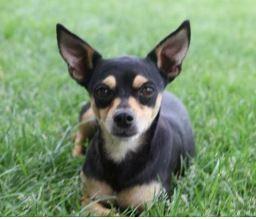 Spock is about a young male Chihuahua mix. He may be shy at first but warms right up quickly! He loves to sit in your lap and go on car rides and cuddle under the blankets. He loves going for walks and is good on a leash. He LOVES other dogs and kids! He is crate trained but is sad when left without a friend. Sampson (Adopted) - was found in a feral cat colony, suffering from an upper respiratory infection. His rescuer thought this little guy would be feral too, turns out he is a sweetheart just looking for friends! He loves having a friend to play with and keep him company. Sampson is about 14 weeks old. Cupid (Adopted) - is about 12 weeks old. He was found in someone's yard. They contacted Fuzzball Rescue to help because the poor little guys was clearly sick. Seen immediately by our doctors he had an upper respiratory infection that was treated. Although he may have some long term changes to one of his eyes it doesn't slow him down a bit! This little guy is a lover! He is adorable and playful. He loves playing with other cats and dogs. He is litter-boxed trained. Diesel (Adopted) - is a 2 year old neutered male Pit Bull. He is up to date on vaccinations and microchipped. Diesel loves kids! He gets along great with other dogs! Diesel is not a fan of cats or fences. Diesel has issues being left alone and has been known to go through wood fences. He is not crate trained. He loves riding in a car, going on trips with his people, and is a well behaved boy. Jazzy (Adopted) - is a 6 year old spayed female Doberman/Chihuahua mix. She was surrendered by her owner because they were headed off to college and did not feel they could give her the time and attention she deserves. Jazzy is potty trained and knows her basic commands, sit, lay down, paw, etc. She does well with other dogs as long as she approves them first, but thinks likes to play hide and seek with cats, and is not a fan of bunnies. She loves playing and going on walks. She LOVES playing catch. She is crate trained on command and does better left in a crate when left home alone so she does not get herself into trouble. She loves sleeping in bed with her people. Suzie (Adopted) - is a young female cocker spaniel mix, possibly with poodle. She is a small girl, weighing only 12lbs. She is the sweetest little girl in the world. Her foster mom says she is such a funny, loving, well manned girl. She is great with dogs and cats. She is potty trained and is working on her leash training. She is a bit of climber so would not recommend leaving outside unattended. Her foster mom she is simply a happy, loving and sweet girl that will bring any family much joy! 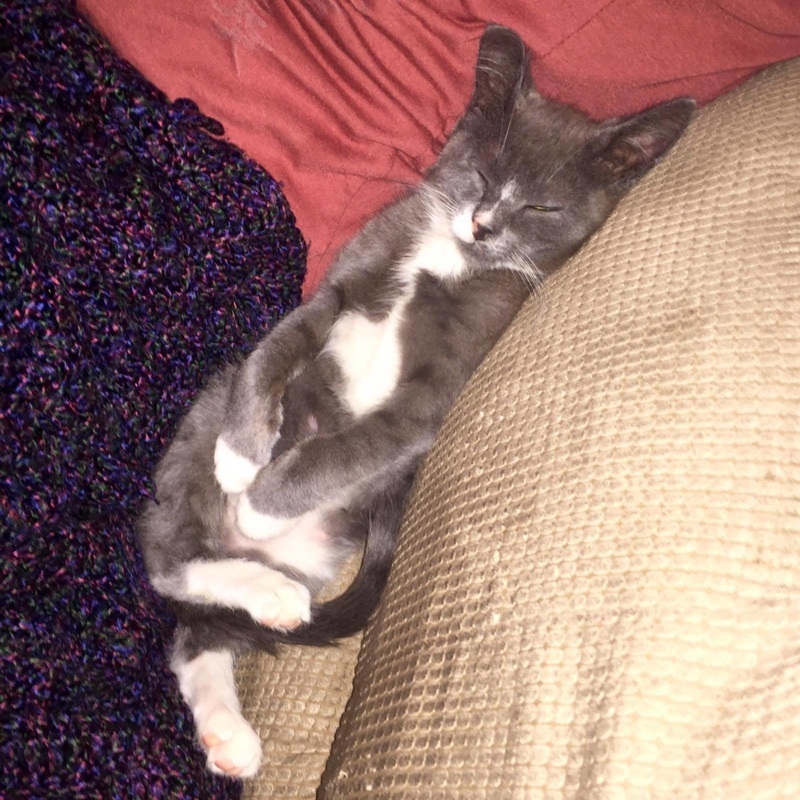 She is extremely playful and loves to be with people and will follow you everywhere. She is a little sensitive about having her feet messed with, but with a little patience and training can overcome this! Suzie will require regular grooming. Tink (Adopted) - She is about 3 months old. She was brought to the veterinarian to be euthanized because someone found her and she had a pretty bad injury to her right hind leg. But because she is one of the sweetest kittens you'll meet, and otherwise rather healthy, Fuzzball volunteers stepped up and decided to take this little girl into rescue. Due to the age and location of the fracture and other severe wounds to the leg the best course of treatment was to amputate. This hasn't slowed her down a bit! She is so sweet, she loves to be cuddled and held. Tink is still learning that living with other pets is okay. Cookie (Adopted) - Look at this cutie! We have named this little girl Cookie. She is the sweetest, friendliest baby ever! Everyone just falls in love with her the moment they see her! She loves cuddles and rubbing up against you. She needs a home that will love her for the rest of her life! Loves other cats, dogs, and kids! She pretty much just loves everyone! Cookie is about 13 weeks old. Abby (Adopted) - is a 10 month old pit bull. She LOVES kids and does get along with other dogs. She likes to chase cats but has not wanted to hurt any of them! She has been around some livestock, including sheep and has done well. She does like to explore so a fenced yard is highly recommended! She is a sweet heart! She is spayed, microchipped and up to date on vaccinations. Del (Adopted) - was found in a hay pile when he was only a few weeks old. He was seen by a veterinarian and had a few medical conditions that are easily treatable. Once Del is healthy enough, he will be vaccinated and neutered and become available for adoption! Del LOVES playing with other animals and being outdoors. He is a fun, feisty little guy that is going to grow up to be a handsome man! Patty (Adopted) - This beautiful girl came to our rescue as a stray who was found on the highway who had recently had pups. She is loving and sweet, she loves to help garden and spend all her time with her peoples. She does not like to be left alone but does well with the company of other dogs. She gets along with cats but has a love hate relationship with chickens. She loves to be a couch potato. She is a big girl and so strong she can climb and jump a fence to get to her people (or chickens...love/hate). Her doctor is estimating she is approximately 4 years old. Bensel (Adopted) - is a 5 month old neutered male Labrador Retriever mix. He is a bit shy at first but warms up quickly with a little trust and respect. He is a young active pup that loves to play. He gets along great with other dogs. Bubbles (Adopted) - is a 3 month old pit bull. She was found on the side of the road and brought to the veterinarian where she was tested positive for Parvo. We took her in and got her the treatment she so desperately needed. She made the most wonderful recovery and was back to her puppy self in no time! She has started her potty training which she is doing great but is not completely house broke yet. She has also begun her crate training and is not a fan but settles in after a bit. She LOVES to play with other dogs. She has not learned that her puppy teeth can hurt and are not to be used on hands, but she is one smart cookie and it won't take long I'm sure. She has started her vaccination series but will require more. 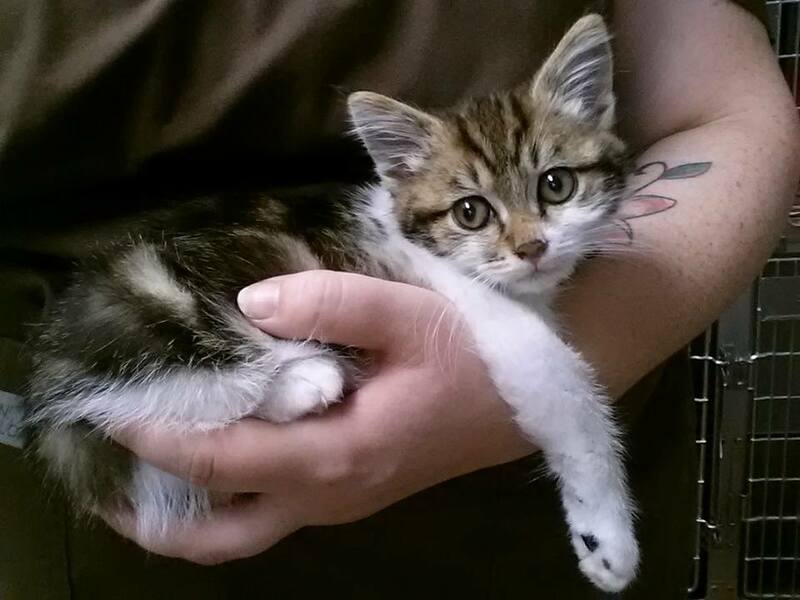 Her adopter will be required to sign a spay contract since she is currently too young to be spayed. 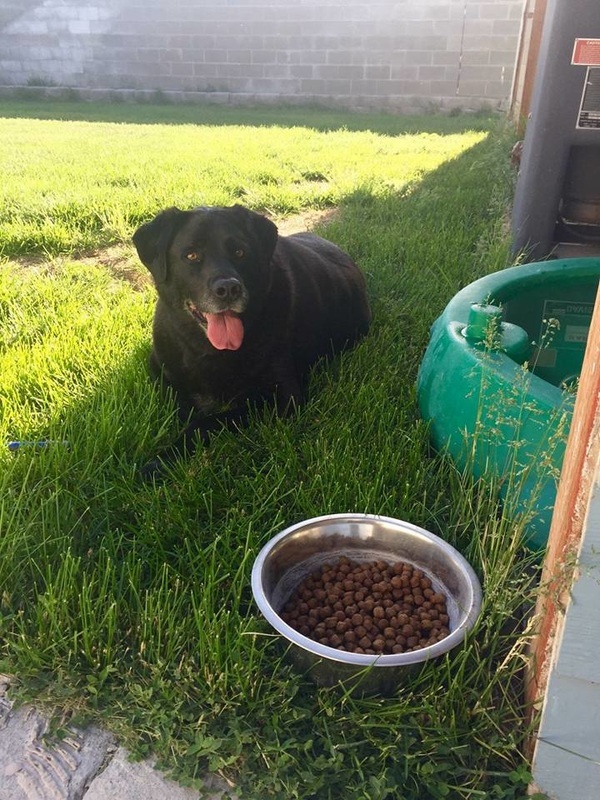 Elsie (Adopted) - is a 7 year old spayed female Labrador Retriever. Her owner decided to surrender her to our rescue because he did not have time for her. She loves spending time outdoors and needs to be encouraged to be a little more active to become a healthier weight. She would love to have a family to love her for the rest of her life. 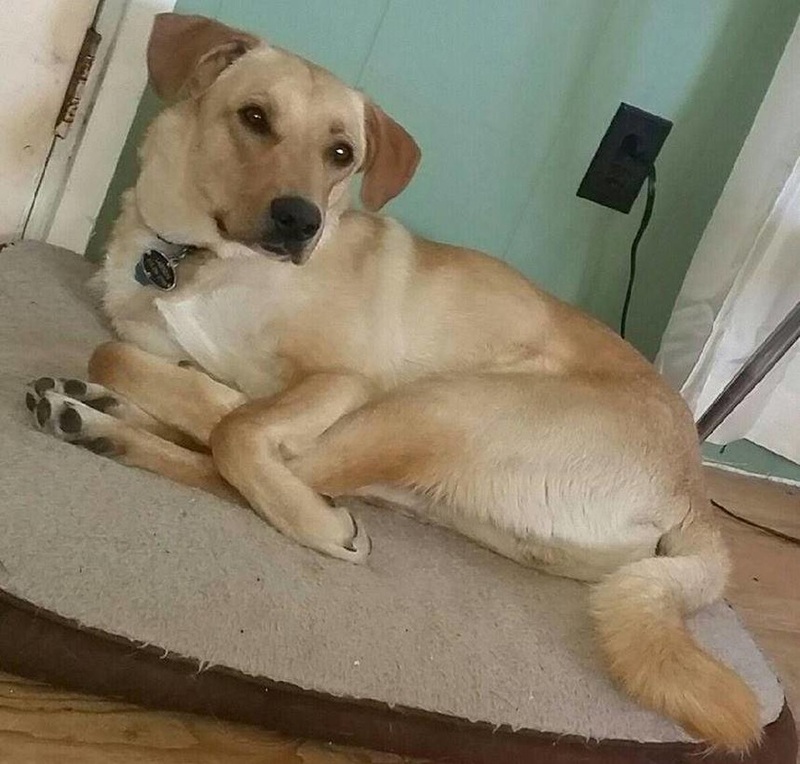 Artemis (Adopted) - is a 9 month old neutered male Labrador Retriever mix. 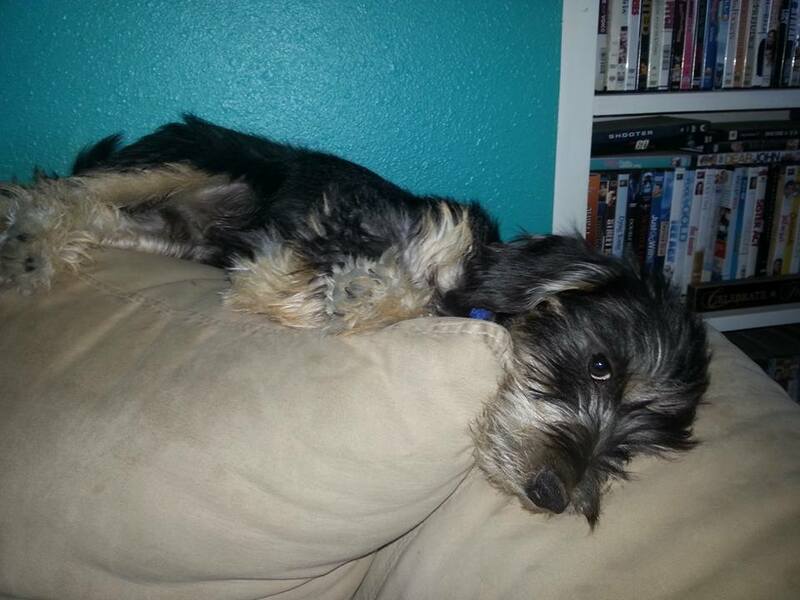 He is a bundle of energy that loves to play with kids and other dogs. He loves going for walks. He is house broke and is still learning that not all cats want to play with him. Artemis does have seizures if he doesn't take his daily medication. New situations can make Artemis nervous but he would love to find a new family that will be patient with him and give him the love and attention this sweet boy deserves. Molly (Adopted) - This absolutely adorable 7 month old pup is looking for a home that has kids to throw a ball for her. She loves to run and play and needs an energetic family or perhaps someone who likes to hike. She loves other dogs, has not been around cats. She is great with kids, especially her human foster sisters and brothers. Molly is a typical work in progress puppy. She will chew on things, but is easily corrected. She is crate trained and still working on her leash training, but she is so smart she will figure it out soon. She will need to be encouraged on potty training in a new home since puppies forget during transitioning to new places. 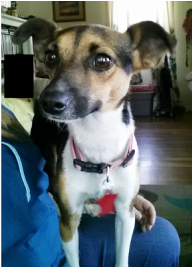 Tinkerbelle (Adopted) - is almost 2 year old Chihuahua mix. She is a bit shy and timid, but really starting to show her amazing personality. She loves to play with other small dogs and some cats. She walks well on a leash, is mostly house trained. She likes to stand on her hind legs and will walk on them to you. She is funny and loves to be loved on. Sophie (Adopted) - came into rescue after being found living in a park. She is approximately 2 years old she is very sweet and loves to be with people all the time, she is funny and outgoing. she does well with other dogs and cats however will chase some cats but will not hurt them but she may do better in a home without cats. She loves to play with other dogs but can become possessive of her humans when the other dogs are around so you must be firm with her to show her that her behavior towards that is not acceptable. She does like to play roughly sometimes and she does need trained to teach her that this is not how we play. She walks well on a leash and does okay on car rides. She is currently working on potty training and is doing well but you must be consistent with her, just like with any young dog. She is still working on crate training and does okay but will tend to bark for a while until she settles down. She still chews on things at times like a puppy so should be crated when not at home or left in a gated room with something to keep her busy like a Kong filled with peanut butter or bone. This also helps show her what is acceptable for her to chew on. funny. I am also working on potty training. Libby (adopted) - I’m a Border Collie Australian Shepherd mix, and I am approx. 9 1/2 weeks. I am super cute and cuddly. I am working on my puppy manners, but am a work in progress as all puppies are. I am ready to find my forever home and find my humans to love and play with! Lula (adopted) - I’m a Border Collie Australian Shepherd mix and I am approx. 9 1/2 weeks old. I am super cute and cuddly. I am learning puppy manners, but am a work in progress, as with all puppies. 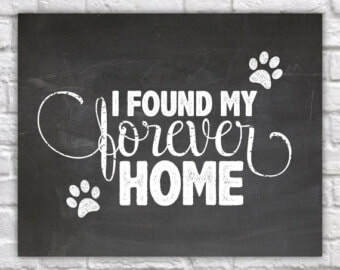 I can’t wait to find my forever human and sunggle up with them on these cool winter nights! 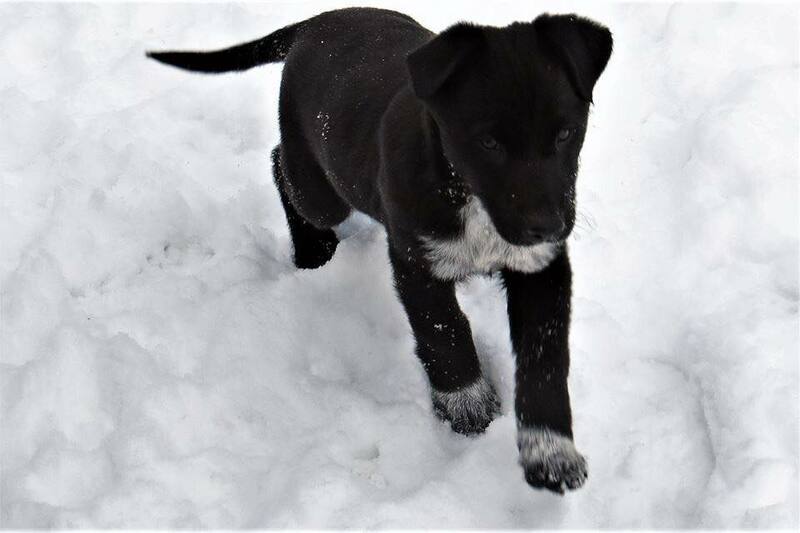 Sage (Adopted) - I’m a Border Collie Australian Shepherd mix and I am a sweet cuddly puppy looking for my forever home. I am working on my potty training. Lexi (Adopted) - I’m a Border Collie Australian Shepherd mix, and I am approx. 9 1/2 weeks old and am super cuddly and sweet. I am working on all the puppy manners, but am still a work in progress as any puppy would be. As you can see I am really enjoying the snow as well!! Meno (living the rest and best of his days with his foster mom) was found wandering the streets and walking in front of cars because he is mostly blind. Sadly his family has not come looking for him. He is approx. 14 years old. He had horrible infections of his mouth as his teeth were rotted. He had to have most of his teeth removed and will need to be on a soft food diet. Because he is mostly blind and of advanced age a home without children or puppies would be the best for him. He startles easily since he can't see you. He does okay with other dogs and cats that will leave him alone. Meno is an absolute love bug and would be happy to sit in your lap all day. He is very quiet, sleeps most of the day, but does enjoy going outside to sniff in the yard. We want the best forever home for him to spend the remainder of his life in. Lola (Adopted) - is a 2-3 year old Chihuahua mix. Even though she is young, Lola is very low energy. She loves to sleep in your lap all day!! Lola is potty trained. She doesn’t like to be in a crate and will cry for a while after being put in. We do crate her at night and when we leave but she would rather sleep on the couch or in your bed with you. She gets along with other dogs and cats but Lola wants to be in a home with older children that know how to respect her space. It is what would suit her best so she can be the little lap dog for your family to adore. 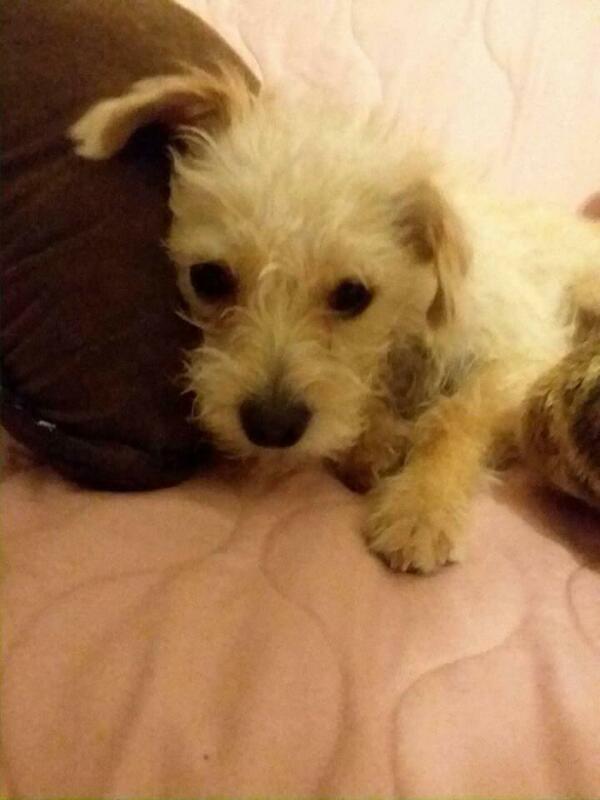 Lola will be spayed/ microchipped/ vaccinated before leaving the rescue. Olive Oyl (Adopted) This sweet girl came into rescue when a kind lady found her inside of a box with a terrible eye injury. She received surgery right away, but her eye could not be saved. 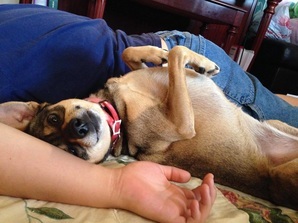 Olive has proven to be nothing but a sweet girl that loves people and animals. She is mastering her potty training and although she has accidents they are on puppy pads. She is working on crate training. She does well on a leash and is doing great adjusting to her impaired vision from losing her eye. She is quite overweight and is on a diet. Her perfect home will be with someone who can give her lots of attention. We don't know how she is with kids, but she seems to be fine with just about anyone. She does have quite the personality! She is strong willed but eager to please. She’s sweet and loves to cuddle and be on your lap. She’s energetic and playful. She is good with other dogs an cats. Freckles (Adopted) Freckles is an adorable sweet puppy who is ready to find his forever home. He is a typical energetic puppy who is still in a chewing phase as he is only approx. 14 weeks old. He needs basic puppy training. Mostly potty trained, does good in a crate, good with children, other dogs and cats. 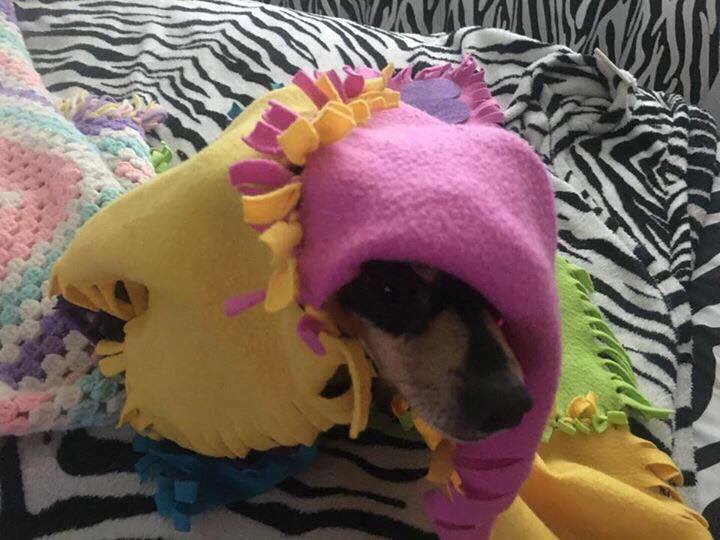 He is a little shy, but loves to be with his people. He is very smart and eager to learn. He knows sit and fetch, needs work on leash training. Freckles is neutered, vaccinated, micro-chipped, vetted and wormed.